韓国ではNagayamaさんの人気がすごいです!! 韓国で BLEACH ROCK MUSICALをよく見ています!! 体お大事に!! This is the voice from Austria.I'm now in Austria.Have u ever been to this beautiful country?Just think about the time difference of 7 hours, it's terrible to adjust to it,isn't it? 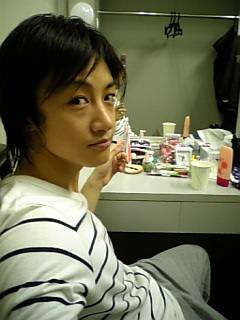 This is the backstage of Bleach Musical? Well, Good luck with Burimyu! GOOD SHOW AND GOOD LUCK~! !